Trail Blazers is a bike based summer program for grades 5-8 to help kids gain an appreciation for their community. 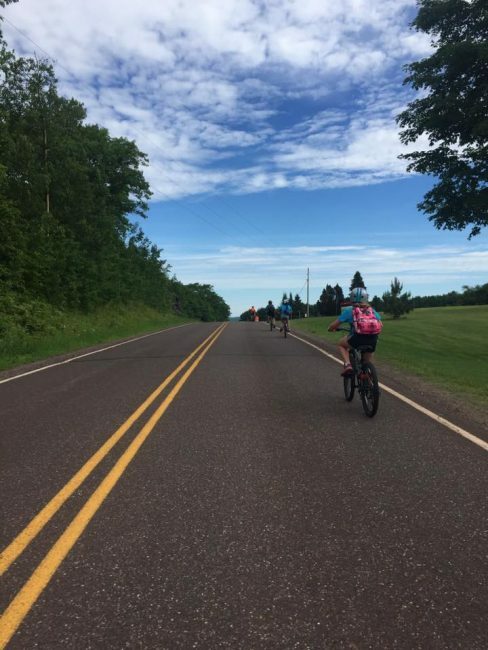 Starting at 10 miles and working their way to 20 miles a day, kids will get the chance to see the amazing landmarks that our area has to offer. While doing this, they will gain independence and form personal leadership through different activities done every day. They will also get a chance to have active, outdoor fun with swimming, fishing and canoeing. If pairing Trail Blazers with our Iron County Outpost Camp, we highly encourage kids to come at least three sessions to help build their biking endurance in order to get the most out of Outpost Camp.